For me, Thanksgiving is about Gratitude, I feel very blessed to have so much to be grateful for. And with that, my statues in and around my house and garden get some special attention this time of year, a candle, some flowers, a little thanks to the powers that be. 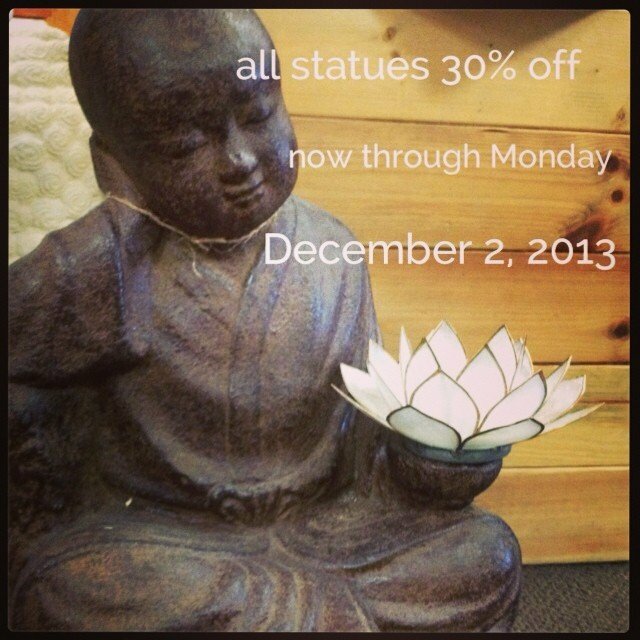 So in honor, all statuary is 30% off until the end of cyber Monday.